In January 2017, Governor Eric Holcomb appointed Jim McClelland to the newly-created position of Executive Director for Drug Prevention, Treatment, and Enforcement for the State of Indiana. He reports to the Governor and also chairs the Indiana Commission to Combat Drug Abuse. Jim is charged with coordinating, aligning, and focusing the relevant work of a wide array of state agencies that affect substance abuse issues. In addition, he seeks to leverage the state’s resources with those of entities in other sectors – business, higher education, health care, philanthropic, faith-based, and other community-based organizations - to respond as effectively as possible to the current opioid crisis and to substantially reduce the likelihood of a similar crisis arising from the abuse of addictive substances in the future. them. 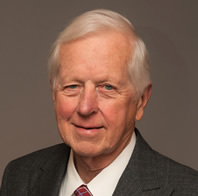 He currently serves on the Dean’s Council of the Indiana University Kelley School of Business – Indianapolis, the Advisory Board of the School of Industrial and Systems Engineering at Georgia Tech, and the Board of Directors of Building Tomorrow.